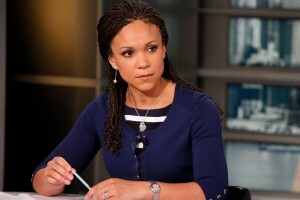 On Sunday, February 21 2016, MSNBC announced that it would be canceling the Melissa Harris-Perry Show, after two weeks of the show’s being pre-empted for other news and following an email from Harris-Perry to her staff, which went public, in which she indicated that she felt “worthless” to NBC News executives. Our panel will discuss the split as well as its broader implications. With: Charles Ellison, political strategist and Host of The Ellison Report on WEAA; Carla Wills, Senior News Producer at Democracy Now Productions; and Dr. Lester Spence, Center for Emerging Media Scholar-In-Residence, Associate Professor of Political Science and Africana Studies at Johns Hopkins University, and author of Knocking the Hustle: Against the Neoliberal Turn in Black Politics. If she is worthless to MSNBC, then she should set up her own internet streaming broadcast to find out a broader measure of her worth.